Make your blood run cold in a spooky match-3 adventure that will leave your spine tingled! - Traverse 90 levels, plus over 50 bonus puzzle and crystal levels! - Timed, relaxed, and move limited modes! 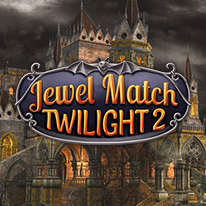 - Replayable mini-games games, including jigsaw and hidden object scenes. - Buy dozens of upgrades and power-ups from the shop.